TROCADERO ORCHESTRA PROFILE Don is equally at home with both classical and jazz trumpet playing. Organizations he has belonged to include the Edmonton Youth Orchestra and the Edmonton Wind Sinfonia. Professionally, he has played in dance bands, a blues band, a jazz quintet and as bugler for Northlands Park. 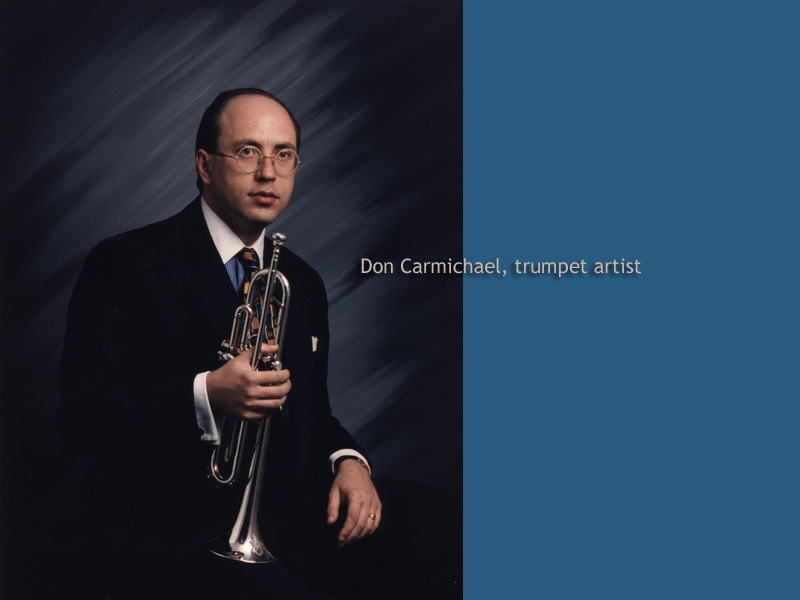 Currently, Don plays principal trumpet for the Edmonton Philharmonic, and associate lead for the GMCC Outreach Big Band. Frequently, he performs solos for local churches and is delighted to be called upon to play with The Trocadero Orchestra. Don has studied with Don Harris, Bill Dimmer, Chuck Barber and Bob Stroup. He has participated in master classes with James Thompson (Montreal and Atlanta Symphony Orchestras) and Armando Ghitalla (Boston Symphony).